Super Smash Bros. Ultimate will release on 7th December 2018. I guess I’ll start by saying, WOW!! What an overload of information that was. A huge part of the Nintendo E3 2018 direct was dedicated solely to Nintendo’s returning brawler. 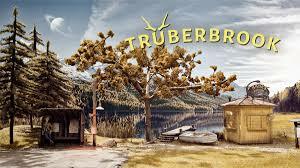 Talking of returning, Nintendo really took us all by surprise. Since March, people have been speculating as to who would be in the latest iteration. Would we see Labo Man, Cap’n Cuttlefish or Wonder Red join the fray? Would Waluigi finally get the appearance he so richly deserves? 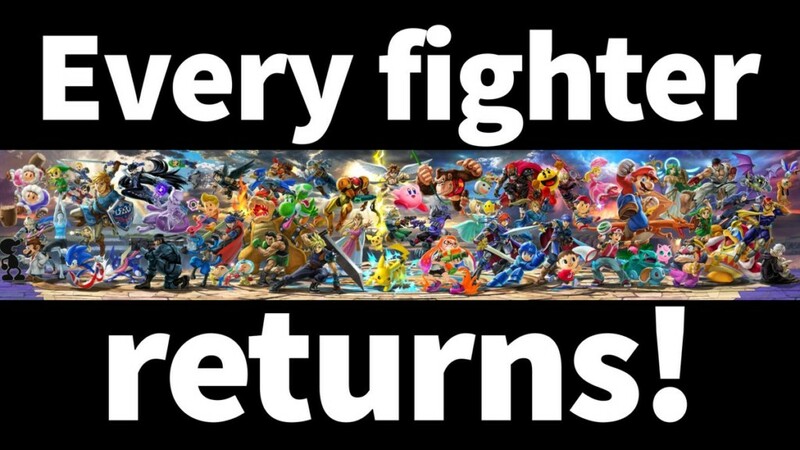 Possibly the biggest news revealed was the fact that every character to have ever appeared in a Smash title will be returning. That’s right, this time around, we will have more choice than ever before. 66 to be precise. I’ll just wait to let that sink in. As well as the plethora of old faces there are 2 newcomers to the series. As we saw back in March, Super Smash Bros. Ultimate will host the Inklings for the 1st time. Not only do we get Inkopolis’s freshest residents, we will finally see Samus Aran’s great rival, Ridley enter the playing field. To go with these new fighters, Nintendo announced 2 new amiibo that will presumably release alongside the game. 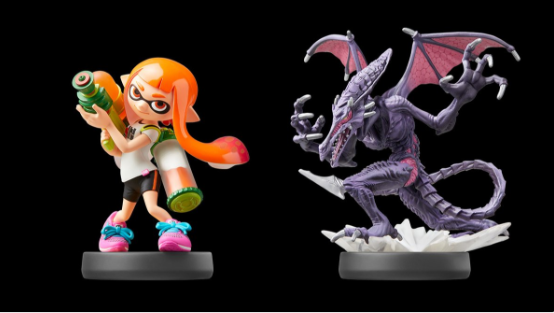 The 1st is an Orange haired Inking, the 2nd, an absolutely stunning Ridley figurine. In addition, all of the previously released Super Smash Bros. series amiibo are compatible and all data stored on them will carry over. This means that any amiibo that you may have levelled up on the Wii U or 3DS versions of the game will be exactly how you left them when you use them on the Switch version. 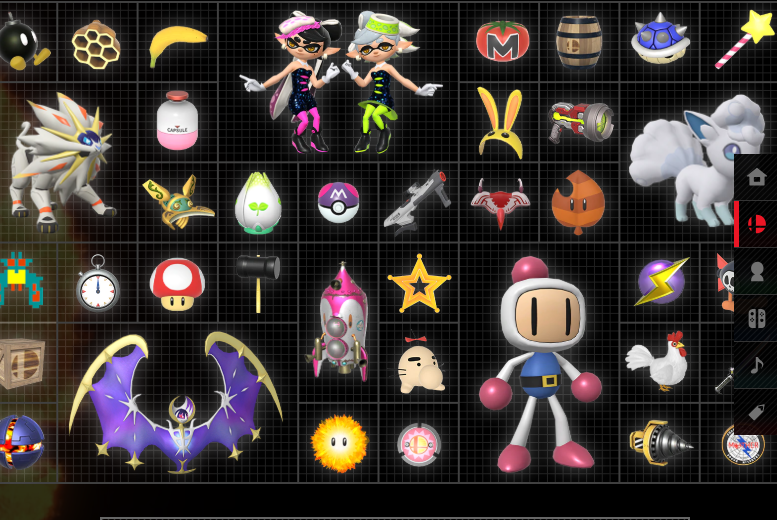 As well as this, any alternate amiibo is usable in this version. For example, you can use the Bowser, Mario or Peach wedding amiibo that launched alongside Super Mario Odyssey, with the very same results as the Smash ones. One of the great features of Smash Bros. for Wii U was the 8 player mode. Whether it was with a group of friends, against CPU opponents or with the addition of amiibo, it always provided frantic fun. If you were also a keen Wii U Smash player, you will no doubt be aware of the GameCube controller adaptor. This accessory plugged into the USB port and allowed up to 4 GameCube controllers to be connected. Unsurprisingly, GameCube controller support makes a very welcome return in Super Smash Bros. Ultimate. Much like with the Wii U version, there will also be a special Super Smash Bros. edition GameCube controller releasing alongside the game. When the Inklings were revealed at the end of March Direct, we saw a silhouette of the usual suspects, however something was slightly askew. The Link we saw was not our usual green garbed hero, but instead the amnesia suffering antagonist we met last year in the sublime Breath of the Wild. In line with this, bombs are now controlled via the Sheikha slate. Following on with the new outfits, Mario will once again be teaming up with Cappy, the legendary hero of Bonneton. Interestingly, Princess Zelda uses the design that she had in A Link between worlds this time out. 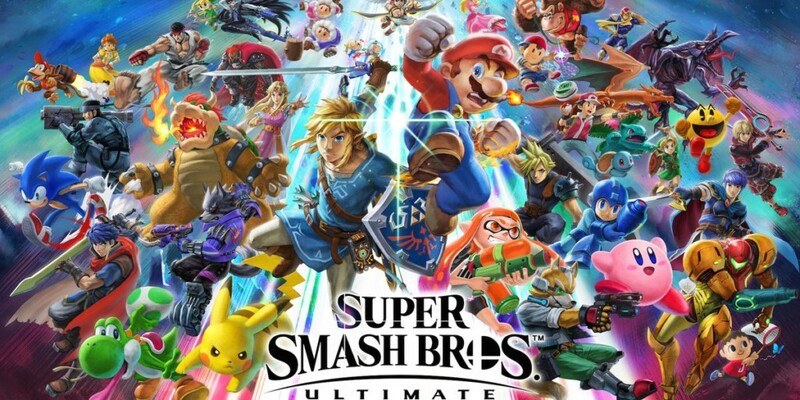 Included in the roster of 66 are echo fighters. These are essentially characters that share abilities with someone else, but not appearances. For example, Lucina is an echo of Marth, likewise Princess Daisy is an Echo of Princess Peach. There are a ridicolous amount of stages in Super Smash Bros. Ultimate. Each stage looks absolutely stunning as even the returning levels have been built from the ground up. That means better textures, dynamic lighting and interactive backgrounds. On top of the remastered legacy stages, there are a whole load of new arenas to battle it out in. 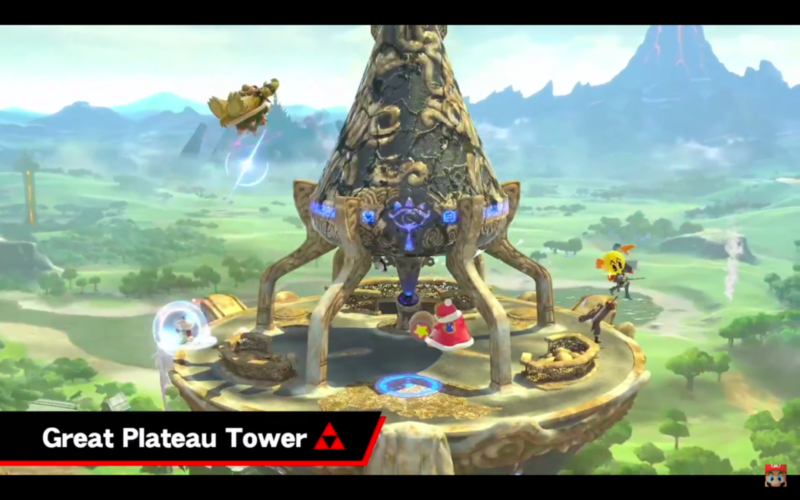 Highlighted in the Direct were the spectacular looking Great Plateau Tower, complete with Calamity infested Hyrule Castle in the background, and Moray Towers of Splatoon fame. Also returning after a lengthy hiatus is the devastatingly dangerous Big Blue stage. Did I mention all the returning fighters? That’s right, I’m talking Ice Climbers, Solid Snake, Wolf, Young Link, Toon Link and Pokemon Trainer; complete with Gen 1 starters that are changeable on the fly. A Smash game wouldn’t be complete without an eclectic ensemble of assist trophies. Shown off in the trailer were The Squid Sisters; Callie & Marie, the Legendary Pokemon of Sun & Moon; Solgaleo & Lunala, and Bomberman to name but a few. To summarise, Super Smash Bros. Ultimate is looking like quite the labour of love and shaping up into the next monster title on Nintendo Switch. Generally speaking the Direct was incredibly informative but some questions still remain. 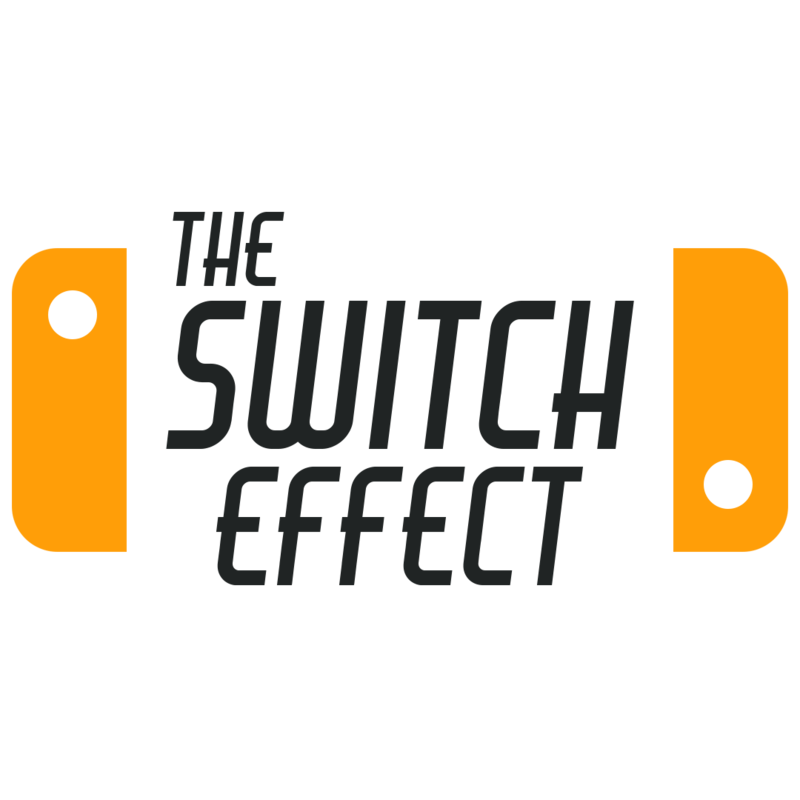 Is there a single player campaign in line with Subspace Emissary? Likewise, will we see more characters revealed at a later date? On the positive side, I’m sure we will learn more closer to release in a future Nintendo Direct. If you’re still hungry for information, by all means check out the entire reveal below. Given these points, what do you think of Super Smash Bros. Ultimate? 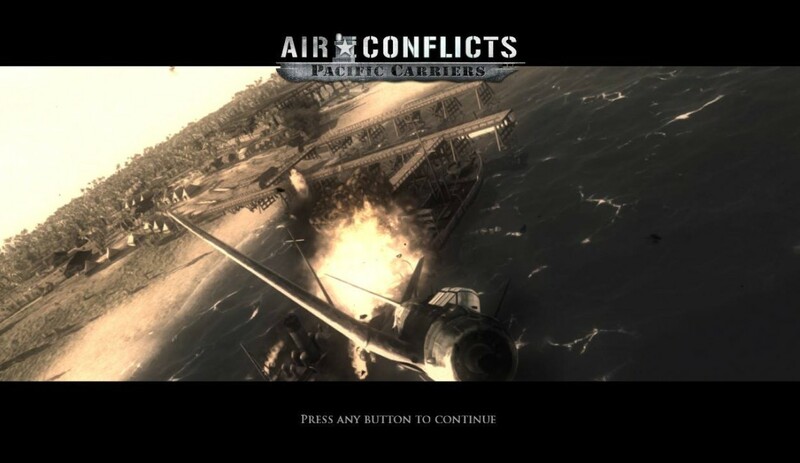 Are you looking forward to playing as your absolute favourites from past games, not to mention possible future DLC additions? Let us know what features you’re looking forward to most and for all the latest, follow us on Twitter and turn push notifications on.